Insulator Shows (2005 National) > Carl D. Scott's display of lineman tools, etc. 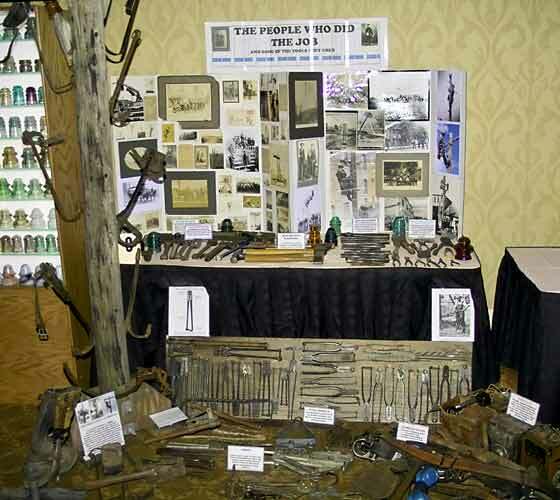 Carl D. Scott's display of lineman tools, etc. Titled "The People who did the Job" - a collection of tools, hooks historical photographs and more. All about what it means to be a lineman.